Are you worried your files on your laptop will get stolen because you have nuclear launch codes on your Mac? Well, do I have a solution for you! 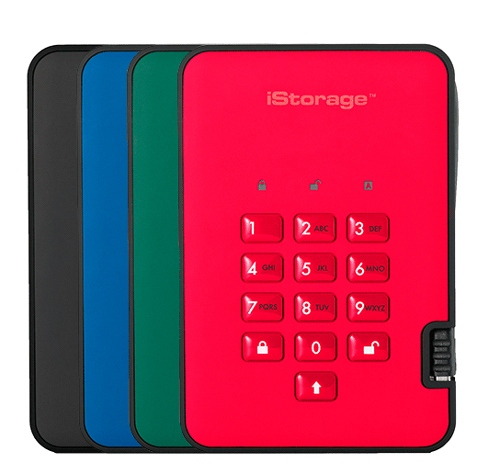 iStorage makes different drives, ranging from SSD’s with 1TB to HDD with 500 GB. All in different sizes and designs. But this post is all about the diskAshur 2-SSD. The 256GB one to be exact. It looks like something out of a movie, with the self destruct feature, but it’s a pretty basic drive to use. I connected it to my Mac and got reading access immediately (it’s write protected). I just had to install the Mac partition, and I was good to go. With the integrated USB cable, there’s no need to carry around an extra cable and you can put everything in the included carrying case. The cool thing is, of course, the PIN authenticated feature. 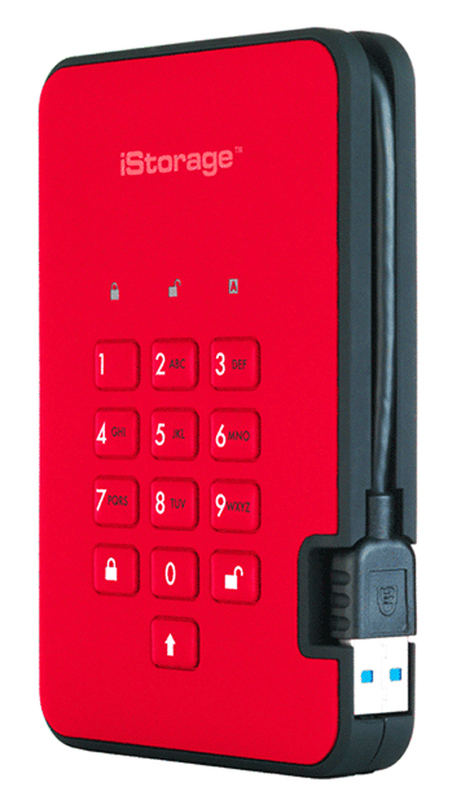 When you first install it, you have to use the standard pin before you can install your own pin-code. After that, you’re good to go. Everything is explained in the manual in the box and on the drive itself. The USB 3.1 is fast, with write speeds up to 300mb/s when I was testing it. I uploaded a 9.5 GB file onto the drive in one minute. There is a lock button, if you want to make sure no one without the code can access it. If someone tried to access it, he would have a pretty hard time. Unless Anonymous got their hands on the drive, you’re pretty safe. If a wrong code is used about 20 times, the drive self destructs. Not like in the movies, where it explodes, but it erases everything on it. I think it’s pretty safe to say you’re safe with this safe drive. You can find the diskAshur SSD here.